Donaghy, Greg. “The Politics of Accommodation: Canada, the Middle East, and the Suez Crisis, 1950–1956.” International Journal (early view; online first). This paper re-examines Canada’s response to the Suez Crisis within the context of its overall approach to the Middle East in the early 1950s. It reminds contemporary readers that most Canadian policymakers, including Prime Minister Louis St. Laurent and his Secretary of State for External Affairs, Lester B. Pearson, viewed the distant and unfamiliar region with reserve, as one better left to the Great Powers to sort out. That view only changed in 1956, when the Suez Crisis, Anglo-American discord, and the possibility of nuclear war threatened Canadian strategic interests, transforming Canada into a small regional stakeholder. Gabriel Gorodetsky is a Quondam Fellow of All Souls College, Oxford, and emeritus professor of history at Tel Aviv University. In 2010 he received an Honorary Doctorate from the Russian State University for the Humanities. He was the founder and director of the Cummings Center for Russian Studies at Tel Aviv University. Prof Gorodetsky has been a visiting fellow of St. Antony’s College, Oxford, the Wilson Center, Washington DC, the Rockefeller Bellagio Research Center and the Institute for Advanced Study, Princeton. He has published widely on Soviet foreign policy in the interwar period and the Second World War. Among his leading publications are The Precarious Truce: Anglo-Soviet Relations, 1924-1927, Stafford Cripps’ Mission to Moscow, 1940-1942, Mif ledolkola published in Moscow in 1995, and Grand Delusion: Stalin and the German Invasion of Russia, published also in French, German, Russian and Hebrew. New Article: Kolander, The 1967 Arab–Israeli War: Soviet Policy by Other Means? Kolander, Kenny. “The 1967 Arab–Israeli War: Soviet Policy by Other Means?” Middle Eastern Studies (early view; online first). This paper considers two aspects of historiography about the 1967 Arab–Israeli war – American and Soviet foreign policy in the region – to better appreciate the Soviet role in the outbreak of hostilities, as well as how the war concretized the USA–Israel ‘special relationship’ and weakened American–Arab relations. Relying especially on research from the Lyndon Johnson Presidential Library and Foreign Relations of the United States (FRUS), this paper argues that Soviet officials had little interest in pursuing measures to prevent war during the prewar crisis because the situation promised to undermine American interests in the region. Simpson, George L., Jr. “Cold War, Hot Summer: Superpower Involvement in the War of Attrition in 1970.” Journal of the Middle East and Africa 6.2 (2015): 103-23. Using U.S. archival documents as well as insights gained from Israeli historians who made excellent use of Soviet sources, this article examines the diplomacy and military developments that occurred late in the Egyptian-Israeli War of Attrition. Understanding that Moscow was pursuing a more forward policy than Washington officials understood at the time, it becomes clear that Soviet military intervention began earlier than American and Israeli decision-makers then recognized or than historians have understood until recently. Likewise, the operational deployment of Russian air defense forces and fighter pilots challenged Israeli air superiority in the skies over the Suez Canal, which separated Egyptian and Israeli troops. While American diplomats were willing to help the Israelis with equipment and countermeasures to deal with the new threat, they put enormous pressure on Jerusalem not only to accept the ceasefire that ended the conflict but also to not respond militarily to Egyptian violations of the agreement. Thus, Israel found itself in a fundamentally more vulnerable position when the shooting stopped in August 1970. Ferris, Jesse. Nasser’s Gamble. How Intervention in Yemen Caused the Six-Day War and the Decline of Egyptian Power. Princeton: Princeton University Press, 2012. Nasser’s Gamble draws on declassified documents from six countries and original material in Arabic, German, Hebrew, and Russian to present a new understanding of Egypt’s disastrous five-year intervention in Yemen, which Egyptian president Gamal Abdel Nasser later referred to as “my Vietnam.” Jesse Ferris argues that Nasser’s attempt to export the Egyptian revolution to Yemen played a decisive role in destabilizing Egypt’s relations with the Cold War powers, tarnishing its image in the Arab world, ruining its economy, and driving its rulers to instigate the fatal series of missteps that led to war with Israel in 1967. Viewing the Six Day War as an unintended consequence of the Saudi-Egyptian struggle over Yemen, Ferris demonstrates that the most important Cold War conflict in the Middle East was not the clash between Israel and its neighbors. It was the inter-Arab struggle between monarchies and republics over power and legitimacy. Egypt’s defeat in the “Arab Cold War” set the stage for the rise of Saudi Arabia and political Islam. Bold and provocative, Nasser’s Gamble brings to life a critical phase in the modern history of the Middle East. Its compelling analysis of Egypt’s fall from power in the 1960s offers new insights into the decline of Arab nationalism, exposing the deep historical roots of the Arab Spring of 2011. Jesse Ferris is vice president for strategy at the Israel Democracy Institute and a historian of the modern Middle East. Blanga, Yehuda U. “Nasser’s Dilemma: Egypt’s Relations with the United States and Israel, 1967–69.” Middle Eastern Studies 51.2 (2015): 301-26. The article examines the American political efforts to bring about an agreement between Israel and Egypt between 1967 and 1969 and analyses the reasons for their failure. But it does not focus exclusively on the Americans; it also outlines the alternatives for Egyptian action during the period in question and looks at the political and military steps taken by Egypt’s president, Gamal Abdel Nasser, vis-à-vis Israel and the United States. The main conclusion is that despite Egypt’s dependence on the Soviet Union for economic aid and the rebuilding of the decimated Egyptian army, Nasser knew that the only route to a political process to regain Sinai ran through the United States. His diplomatic efforts were all derived from this insight. At the same time, the Egyptian president’s attempts to exploit American pressure to his benefit, as he had done in 1957, was undercut by his overestimation of his bargaining chips, a mistake that was one factor in the collapse of the efforts to reach a diplomatic agreement in the region. Müller, Patrick. “Informal Security Governance and the Middle East Quartet: Survival of the Unfittest?” International Peacekeeping 21.4 (2014): 464-80. Indeed, the first political initiatives of the Quartet were promising. The design of the Quartet’s Roadmap plan – which drew on US ideas but also involved strong input from the other Quartet members (especially the EU) – sought to implement lessons learned from the failed Oslo process. Trying to correct past mistakes, it introduced third party monitoring by the Quartet, the parallel implementation of obligations and a clear commitment to a two state settlement by 2005. Moreover, coordinated action by the Quartet facilitated a number of long overdue reforms of the PA, curtailing the extensive powers of President Yasser Arafat in the run-up to the Roadmap. Simultaneously, the Quartet got a reluctant Israeli government to sign up to the Roadmap initiative, despite several reservations expressed by then prime minister Ariel Sharon. Yet almost from the outset, the Roadmap process lacked guidance by the Quartet. Despite its formal commitment to the Roadmap initiative, the USA conducted a series of steps that severely undermined its implementation. 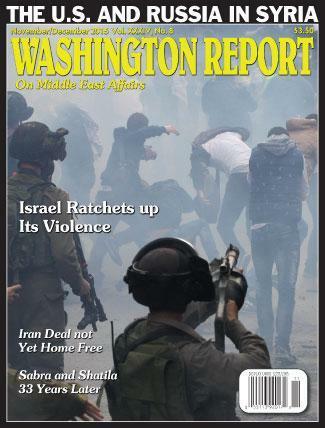 The USA – which had assumed sole responsibility for monitoring Israel’s compliance with Roadmap obligations (rather than the Quartet as a whole) – carried out its monitoring tasks in a sporadic fashion, often without informing the public or even its Quartet partners. A major blow for the Roadmap initiative came in February 2004, when the US government announced its backing of the unilateral disengagement initiative devised by then Israeli prime minister Ariel Sharon. Sharon’s disengagement plan was clearly at odds with key elements of the Roadmap, substituting parallel steps towards a bilaterally negotiated solution with unilateral Israeli measures that centred on Israeli withdrawal from the Gaza Strip and limited areas of the West Bank. Despite obvious contradictions, the other Quartet members reluctantly followed suit, supporting the disengagement initiative as a step in the implementation of the Roadmap (rather than its substitution). The freeze of the Roadmap process so soon after its launch almost instantly undermined the Quartet’s diplomatic standing. The disengagement initiative was subsequently coordinated between Israel and the USA. The Quartet, in turn, was relegated to a supportive actor assisting in the transfer of power from Israel to the PA in the Gaza Strip that was completed in September 2005. Moving back into the Roadmap process after Israel’s disengagement from Gaza proved unfeasible and was not supported by Israel’s prime minister. Israel favoured a unilateral approach over resuming negotiations with the Palestinians, coordinating its policies with the USA. As a result, the unrelenting backing of the Roadmap in the Quartet’s declarations and statements increasingly appeared out of sync with political reality. Primakov, Yevgeny. 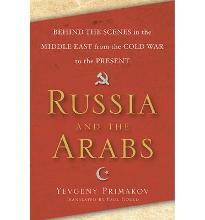 Russia and the Arabs. New York: Basic Books (of the Perseus Books Group), 2009.